ang gagaling po ng nuero surgeon ng pgh naging ok ang kalagayan ng tatay ko vicente garcia jr.nagkron siya ng subarachnoid aneorism nagdaan po cya sa surgical clipping at ngayun po sa biyaya ng Panginoon at tulong ng magagaling na DR.ng PGH ay maayos na po kanyang kalagayan.nagpapasalamat po ako una sa Dios pangalawa sa mga dr. at nurses specialy sa ward6 dept ang gagaling nyo po maraming maraming salamat po sa inyo pagpalain nawa kayo na DIOS. I would like to know po kung ano ang schedule ni dr gap legaspi,clinic hours po nya. I heard so many good things about him. My son is diagnosed with brain AVM, arteriovenous malformation. He’s only 15 years old.Thank you very much and God bless. Please call the Dept of Neuroscience Office or the Neurosurgery Office (office hours) and ask the secretary for his clinic details. Thank you. good day. would like to ask po sana if pgh has a neuropsychologist? after my father’s brain surgery, he gets irritated quickly which is not so like him before the operation. i understand that some behavioral changes would really occur but it would really help him and us if we get a professional opinion. Kindly call the Neuroscience office 5548400 local 2405 about the clinic schedule of Dr Ledesma, she is the Dept’s Consultant Neuropsychologist. Other options you may consider are a Clinical Psychologist’s evaluation from the Dept of Psychiatry or the Dept of Rehabilitation Medicine. I just want to inquire who to address for my father’s referral and recommendations from the hospitals and neurologist here in sydney. My father had TIA twice in 2 days while here for a visit and it’s his 5th stroke. He needs to see a cardiologist aswell for his irregular heartbeat. Can u let me know a good cardiologist? he used to go to a private hopital in manila and his doctor there made a mistake of taking his aspirin medication. Just wrong diagnosis and apparently, he has been given wrong medication in the last 5 years in that private hospital which just made all his health issues worst. Please see “Staff” webpage. The list of our consultant Neurologists are there. He/she can also refer you to a cardiologist. i want to ask about dr. jennifer j.f. manzano, if she’s still at pgh, and should we get a new blue card because ours is lost? Naka graduate na po si Dr Manzano sa PGH. Pipila po ulit kayo sa Counter 1 ng OPD para makakuha ng bagong blue card at may titingin sa inyong ibang doktor. I’d like to say a BIG THANK YOU to- Dra. Epifania Collantes – for all the help she gave to my husband Mr. W. Akester. God Bless! my brother-in-law is in need of an operation to repair a fractured facial bone (?) according to a doctor in Quirino Memorial Hosp. However, they want to charge an arm and a leg for the surgery which they or us cannot afford at this time. The doctors are talking about a “titanium plate” needed for his face or he can go blind (? ).How can they get a second opinion from the Doctors at PGH? Where should they go? Will you consult as a Private patient or Charity patient? Please see ‘FAQs’ page on how to consult at PGH. You may need to consult with Plastic Surgery or an ORL specialist. I would like to know if Dr. Daniel Dennis Romero is with PGH. I was infomed he’s specializing since August 2011. We don’t know if he is in other Depts of PGH. Kindly course your request thru a formal letter to the Dept Chairperson. 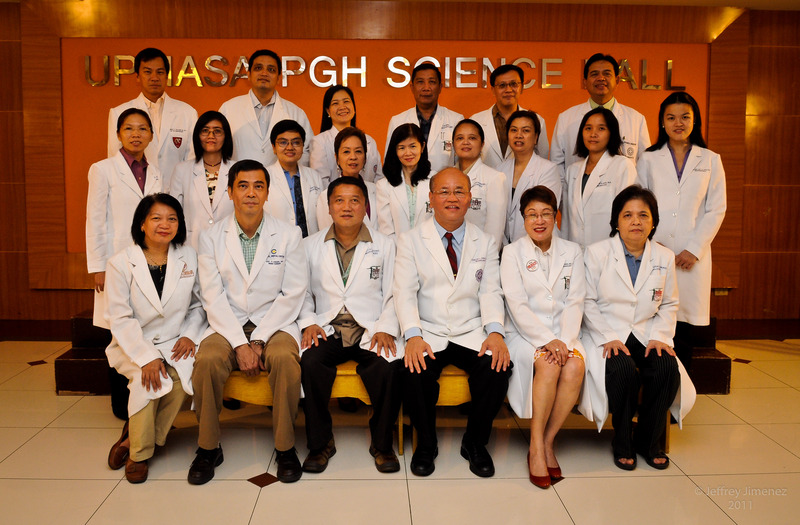 Alternatively, you may also get in touch with the Nursing Services Division of PGH. Ano po ang sched ng clinic ni Dr.Peter Rivera at saan po? Sa cavite po kami manggagaling. Hello! I’m Bernard Bragas, Dr. Legaspi’s patient. I just want to ask if any of you know his email. I’ll send him something very important as it is not yet possible for me to meet him in person. But I really intend to. Thanks much! 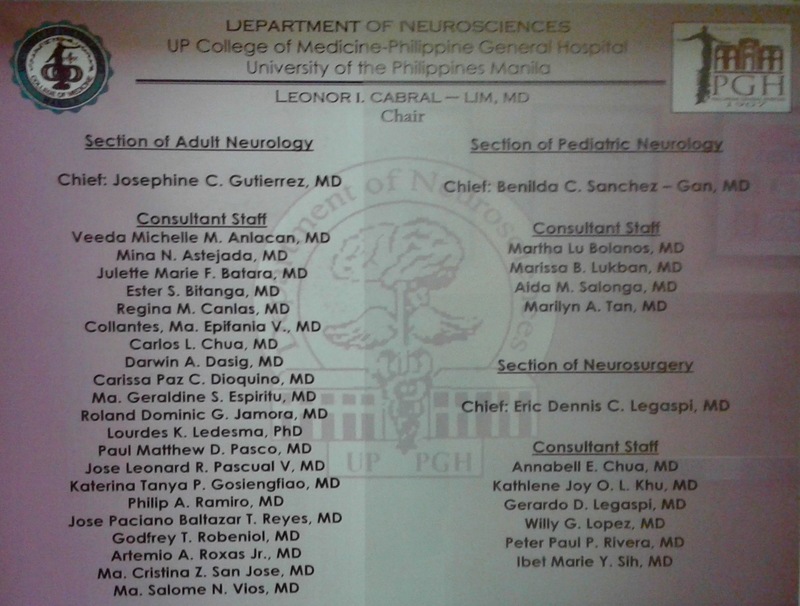 Please call the Neurosurgery section office at 5548400 local 2463.
ano po ang schedule ni Dr. Gap Legaspi sa PGH ? hello.i have 34y/o brother in baguio city.radiologically diagnosed with glioblastoma multiforme but radiologists have different ideas po.is there a way we could be referred to a neurosurgeon po.mri has been done in cardinal center po.if we opt for surgery how much would everything cost.we are in financial dilemma din po. 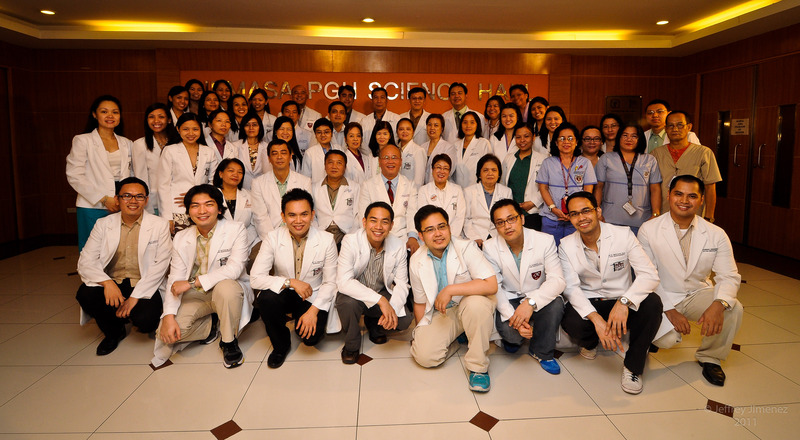 Please proceed to the Neurosurgery clinic of the PGH-OPD for free consultation. Please see the clinic schedules within this website. Hello, I have a 1 rear old daughter and she is still having seizures and still on medications. I just want to ask the number where I can have contact numbers of PGH private doctors to ask for second opinion regarding my daughters condition.If you can provide me the clinic number of Dra. Aida Salonga, that is much appreciated. Thank you.